The World Land Trust (WLT) is supporting Nature Kenya to safeguard the Kinangop Plateau, the global stronghold of the Sharpe’s Longclaw and a vital stop-off for Palearctic migrant birds. 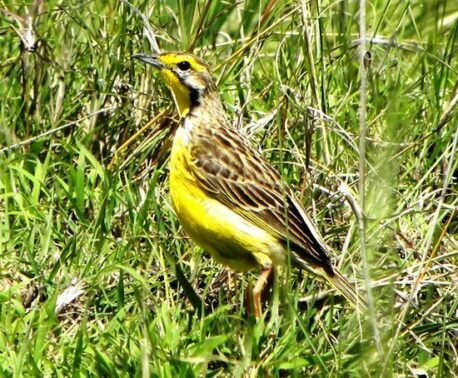 On the high Kinangop Plateau, where the Kenyan endemic Sharpe’s Longclaw has what is believed to be its global stronghold, habitat loss to agriculture is an increasing threat. The question has been asked: “why save a whole habitat for the benefit of one species?” But that isn’t the case, these grasslands are of vital importance to migratory birds, some of them being ones that we look for every Spring , not really knowing where they have been all winter. 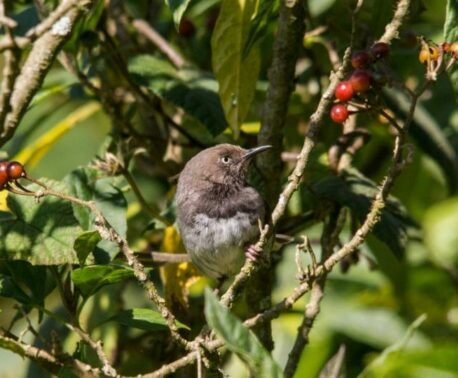 The grasslands and savannah of sub-Saharan Africa are a short-term home for millions of European migrant birds that fly south from Europe every Autumn as the weather gets colder. Over 180 Palearctic land-bird species migrate south across the Mediterranean and vast Sahara desert to feed on the flush of food stimulated by the rainy season south of the Sahara. 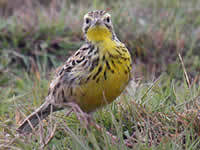 And Kinangop has demonstrated its importance to European migrants: numerous Palearctic bird species were encountered there during survey work undertaken between 2004 and 2008 by the Ornithology Department of the National Museums of Kenya in collaboration with Nature Kenya and the Friends of Kinangop. Swallows, swifts and house martins shared the air with the occasional hobby and the copses were alive with willow warblers. Northern wheatears and tree pipits were abundant along dirt tracks and yellow wagtails moved amongst herds of livestock. Quails, Europe’s only migratory game bird, were seen in the taller ungrazed grasslands and occasional Pallid Harriers were seen quartering the tussocks. Grasslands are being lost just as quickly as some of the world's tropical forests. 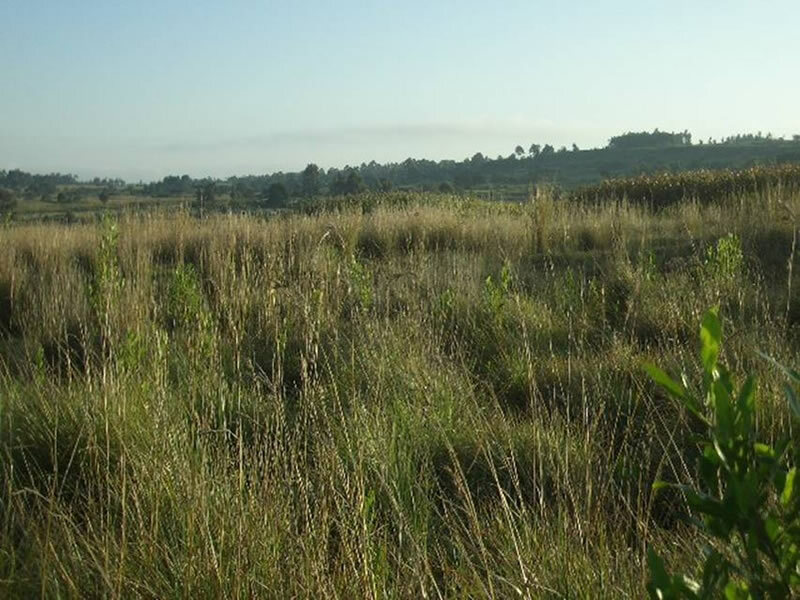 The area of Kinangop Grassland above is now protected by Nature Kenya. Photo © Nature Kenya. With the media spotlight rightly trained on the demise of the world’s tropical forests other great wildlife-rich biomes – grasslands, steppes and savannahs – tend to take a back seat. Yet these habitats are being lost just as quickly, as agriculture-driven land use change threatens their survival. In fact, there is the very real risk that the pressures facing grasslands will intensify very substantially in the coming decades. With a doubling of global food production demanded by 2050, and a head-long rush into destructive biofuels, there is no question that grasslands will become a conservation battle ground of the future. 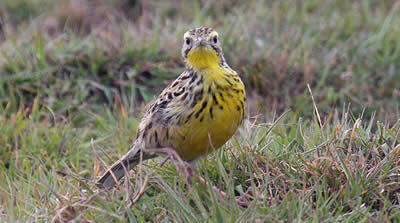 The importance of the Kinangop highlands for migratory birds has been proven, adding a new dimension to its importance. Not only is it vital to the survival of the endemic Sharpe’s Longclaw, it is also a crucial winter home for many European species. The wide-scale loss of the habitat that underpins this great Palearctic bird migration system could have devastating consequences for the birds we consider ‘ours’ for the summer.